The Next Big Thing: Discover New Authors & Books! The Next Big Thing is an around-the-world blog hop where authors of all genres tell readers about their next/recent book release in the course of answering 10 questions. Each author has been tagged by another author to write a blog, and the current author then tags new authors who blog the following week. I was tagged by my friend and talented author Cindi Myers, who posted her blog last week (click here to read it). She also writes an informative marketing newsletter for writers, so check it out while at her site. The title of my next release (March 2013), interestingly enough, is The Next Right Thing. Really, I didn't plan this. It is available for pre-order at Amazon, Barnes & Noble, and other stores. Besides being a writer, I am a private investigator whose former PI-partner-husband is now a lawyer. You might call me his live-in PI. 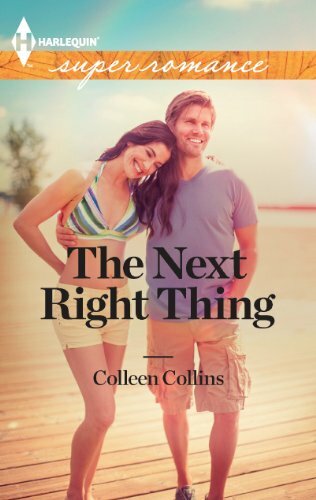 The Next Right Thing features a female PI whose main attorney-client is a man with whom she's been secretly in love for years. What can I say? Fiction can mirror life. I would call it a romantic mystery. Sandra Bullock and Jeffrey Dean Morgan. Lawyer Marc Hamilton needs private investigator Cammie Copello to crack a case that means the difference between his keeping his law practice and family together, or losing everything -- only problem, it's the same case that destroyed her career two years ago. Published by Harlequin for their Super Romance series line. I polish as I write, so from first draft to final manuscript = 4-5 months. 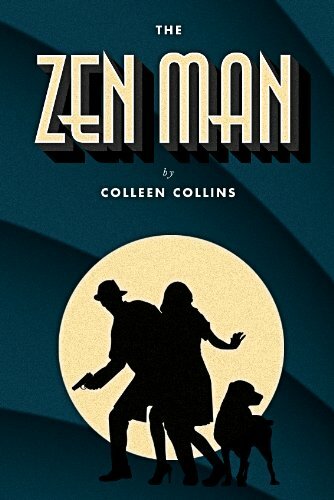 Since I can't think of any recent novels that feature a legal thriller wrapped in a romance, I'll compare this to the film Mr. and Mrs. Smith if they remade it into a romantic comedy. Minus the assassin angle, of course. I think I answered this in Question #2, above. It's set in Las Vegas, with a psychopathic drug-lordess secondary character who...no, I don't want to ruin the surprise. I tagged these wonderful authors to carry on with The Next Big Thing. Looking for great reads? Check them out! B.V. Lawson: Former radio announcer, TV features writer, multi-published author and winner of the 2012 Derringer Award from the Short Mystery Fiction Society. Nancy Wood: Mystery author of critically acclaimed Due Date and currently at work on her second book in the Shelby McDougall series, as well as a writing and business consultant. Jan Moran: Best-selling author of Scent of Triumph, media spokesperson and brand communication consultant. Her awards include a FiFi Award for Technological Innovation from The Fragrance Foundation, a Stevie Award, and a Cisco Growing with Technology honor. David Swinson: After booking/promoting such luminaries as Hunter S. Thompson, he became a highly decorated member of the Washington, D.C. metropolitan police department. He's currently writing the second novel after his acclaimed novel A Detailed Man. 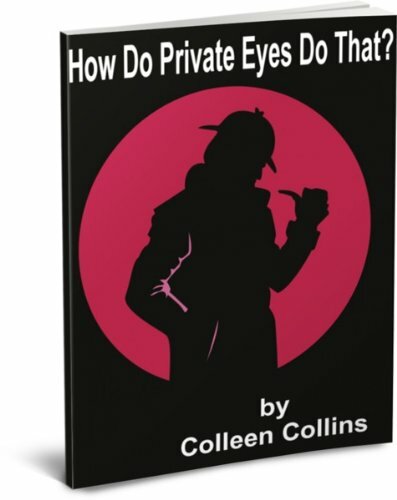 How Do Private Eyes Do That?